Join my 2013 ‘Creative Project’ Challenge! It’s the start of a fresh year, and all these days are stretching out in front of us, begging to be filled. And just like last year, they will get filled. With shopping, sleeping, working, couch surfing, housework, coffee, yard work, cooking, worrying and maybe a bit of fun stuff. Whether we plan it or simply let it happen, this time next year, all 2013 will be is a bunch of lived days, and we’ll be looking at the possibilities of 2014. But what about your art? What about the creative project that’s always on the back burner? The thing you’d love to do, that you DREAM of doing, but never actually get around to? Be bold and brave and take a moment to publicly name the project you’d like to give energy to this year in a comment at the bottom of this page. Then throughout the year I’ll blog check-ins and little things to help keep you on track. Your commitment to the project is about making time through out the year to work on your project. And you can all reach out and support each other, no matter what your project might be. Maybe you want to take art lessons. Maybe you want to work out how to use that expensive camera you bought. Maybe you want to write a novel, or edit a novel, or illustrate a children’s book. Maybe you want to build a vegetable garden or knit a matching set of jumpers for the whole family by Christmas. I have found that by being part of a creative-purposed group, my wonderful writing sisterhood – Sisters of the Pen – my productivity, accountability and sense of connectedness to my writing has improved. I’ve gone from thinking about being a writer to actually writing! So how about you? What creative project will it be for you this year? Go ahead, and sign your name below. Let’s make 2013 a year of Creative Action. That’s the kind of energy I want to see in the world! This entry was posted in Creativity, Love, Manifesting, Ritual and Ceremony, Spirituality and tagged art, art support, arts, being an artist, community, creative challenge, creative tribe, creativity, culture, photography learning, The Artist's Way, writing by Cauldrons and Cupcakes. Bookmark the permalink. I’m in. Thank you for the motivation. New business idea in the works. Yes i am going to work on opening my studio to the public. Finish all my part done paintings, continue teaching art with my friends and display all our works. Anyone can join me. I would love to do it !! Great idea! I think I would do a photo project! What the heck I’m in. To start my novel and to sit my grade one exam for cello. I will finish revising my novel. I will master Adobe Creative Suite 6 (or at least Photoshop). Whew! That’s on top of a lot of other work, too…. The writer who paints? There’s a lot of that going around! Count me in! Developing my Chinese brush painting skills and using the paintings in a new book. Yay! Ooooh, Simone! That sounds so exotically wonderful. I’ll have to create a gallery for all of this outpouring, don’t you think! Of course, Miss Sally Amber Antler. Thank you for asking. This year I am going to Edit Mapping the Heart and shop it round. Maybe in time to pitch for the Romance Writers Thingy in March. Finish Pirates, Book One so that it makes sense for what follows, and then see where the rest of the writing year takes me with Pirates. And create an App. Just because apps are… fun!!!!! So I have some little writing spaces already carved out in my life, just waiting to be filled with my presence. Oh, and I really want to learn how to bake sourdough bread. How about you? And like Karyn said you’ve inspired me to start something new, so I’m going to try to grow my own herbs and vegetables. Such fun! Thanks for the inspiration! I would love to write more. It doesn’t matter what: a blog, a non-fiction book, a fiction book, a short story, a comic book. I am working toward journaling more, too. I’m in for this category. Started Lapidairy last Saturday and had a blast most enjoyable afternoon, am working with a beautiful peice of Jasper turning it into a Caberchone ( hope I spelt that right)and will post a photo when finished. Amazing how much the Jasper was need in my life right now….. I want to complete any of the drawings I have started, and get them matted and framed to amass enough for a future art show at our local museum by age 40. I have 3 more years for that goal, but I only completed 1 drawing last year, so I better get going! I love drawing, why don’t I do it? i’m in! regular painting and other little creative projects, then studying colour design… yeah! Serendipity once again, Nicole. Just like last year’s Gratitude Challenge, your Creative Project Challenge has come knocking at my door at precisely the right time — YOU ROCK. This year, my creative commitments are: to get cracking on a book project, to work on a series of drawings, and FINALLY… to get my online shop going. 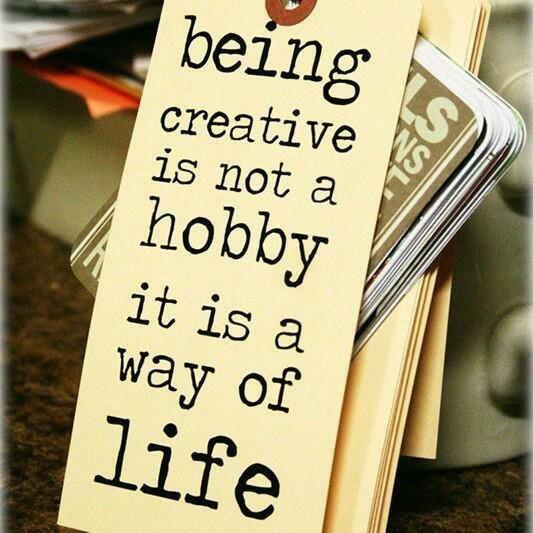 Becoming *sustainably creative* is definitely one of my goals for 2013. This might be just the push I need. I love to draw and would like to paint and every year I think I must find a class. Maybe this could be the year? I’m in! I would like to get back into sewing. I used to sew most of my own clothes when I was (much) younger but over the years just got out of the way of doing this. Now when I am shopping for a new outfit, I get so frustrated that the clothing (especially for over 50’s) is all so mass produced & dull. Moya, I’m cheering for you, my banjo plucking seamstress friend!!! Sewing is such a forgotten art. I am going to try and keep a journal of my journey this year. My thoughts and feelings and motivations and desires. I have never kept a diary for more than 3 weeks, so this will be a challenge. I found a lovely book, a dark red hibiscus looking like the trumpet of an old phonograph with a hummingbird flying into the opening, a few musical notes coming out and the phonograph is sitting on a bed of open red hibiscus flowers. I know it is only day 4 but given recent health concerns I am finding being able to vent and just put stuff down on paper very cathartic. Thank you so much for your advice, meditations and recipes. You are doing a fantastic job. I wish you the best of health and blessings back to you. i already have a blog site set up….i am afraid to write in it as…well for so many reasons however i set up this blog for a reason. So in 2013 i would like to blog about my adventures as there will be many. Its just making a start. I have loved journaling & wanted to take this love into my blog. I am by no means a writter nor do i want to write a book however i do want to express myself through my adventures. I am going to write my children’s book in the first quarter of this year having done the plotting and now applying bum-glue (discipline), do another writing course with Marg McAllister and do more daily ‘throw-away’ journalling. Much love to you bella xxxxooo. I would like to learn to use Photoshop. I’ve already made a commitment to try to maintain my Owls and Orchids blog up this year. I’ve promised to keep to at least every other day since it has been erratic so far. Since I’ve already begun that, (just) I’m also going to set myself the goal of completing Mums tapestry I inherited. I’ll post a picture on my blog. It has to be done sideways so its not as simple as it sounds but I’m looking forward to it. Thanks for the boost! Am trying my hand at so many short term creative projects at the moment, the sort that give me instant gratification, but I really want to start on a scrappy patchwork throw, have been thinking about it for ages, 2013 is the year to do it. What a good idea Nicole!!! You are a gift of God!!! Tears come while I’m writing this. Thank you so much!! I”ve been practising body awareness and chi kung for my own body health and now I start to share it with my collegues and our clients. This art have been sooooo helpful to me. My body have become more and more flexible, I have more tranquillity and I can express myself more easy. I also planed to do creative art with my clients, such as painting. I want to be earning money at the end of the year. My creative project has been myself, my healing from trauma, and from being withdrawn from the world I want to go back in, as my whole self. Oooh! There’s the Post Comment button! May I join you in these goals, Clare? Hi Nicol this is e beautiful project . I want to find my Mentor halping me in paintig process and create my skills in art counselor and a way to express my creativity. Hi Nicole, Thanks for sharing some of your creative projects for the year and good luck with shopping when the time comes. As always with your posts, serendipity, yesterday speaking with a singer friend saying this year I have to remember to put my own creative projects on the table (as much as supporting all those around me in their pursuits). One of the writing projects – finishing at least 1 of the 3 manuscripts that keep telling me to ‘get on with it’. As well, I would like to finish one of the cross stich projects waiting patiently to be done and on a beginner/for-the-experience of it, I’ve bought some charcoal & small sketch book to play with drawing. Hi. My project is to write a book. It is a two year project. Complete the editing process of my non-fiction book “Whole Music” which I started writing last July. AND continue my green fiction series (short fiction on Kindle) “Miranda and Pierre.” I also continue to take digital photographs and blog. 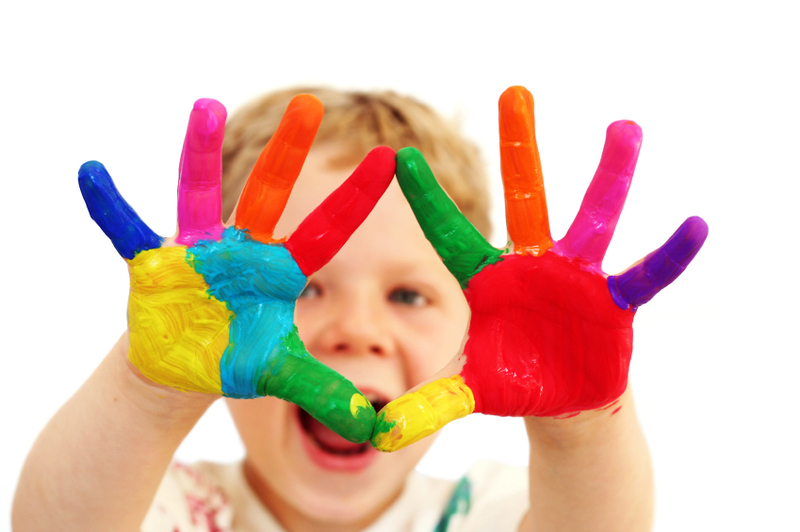 Good wishes to all who engage in creative play in 2013 (notice I didn’t say “work”). Count me in…I have a business idea that I’m working on! I’ll let you know when it comes to fruition! I appreciate your inspiration for 2013! Me and every cell of my DNA are in! Onwards and upwards this year..
Hi Nicole, I would love to take part in the challenge, thank you!! This year I would love to creatively play more with my healing techniques and develop my channeling stuff.. It would help I think in the healing sessions, I want to do as it would be great to give people a uniquely awesome healing experience. this year it would be so good to finally build my healing practice/business.. It would be so cool to make products for clients out of natural things. I have some great Ideas for this! I”m going to learn how to make beautiful and tasty sugar cookies! Also, I am going to do at least one art/craft project each month because I’m good at it and I need to express myself in this way because when I did in the past, I felt much more happy and centered. I’m in!! Creatively I would like to GARDEN!!! and SEW!!!!! Let’s do this!! OK…Knit a cardi/bolero…start a herb garden…work on my “Tea with a Twist” business idea…and a fashion/jewellery/accessories label…and to learn French! I didn’t join this last month because I could not think of a creative project. Interestingly, my business – LifeSavvy – which I have put into the ‘too hard basket’ has been popping into my head quite frequently of late. I am going to commit to developing LifeSavvy to become a business that makes my heart sing – not the business I think it ‘should’ be. I am not setting deadlines but will be making a regular commitment to see where it takes me. I don’t know how I missed this creative challenge post, but is am so in! I have a bit of a list when it comes to my creative goals (making up for lost time haha). Top of my list is creating blog/website where I can share my passion for gardening, eating wholesome food and being self reliant and sustainable. Next comes learning some advance knitting/crochet skills and at least making one item of clothing on my sewing machine. Number 3 is making my own money, not through my day job, but through our (hubby and I) own business (still yet to be created) by the end of 2013. Lastly dusting off my trusty camera and getting back behind the lense…it is truly a love of mine! Lots of love and rainbows to you all… It is awesome seeing how much creating is going on! Thank you as always Nicole for being our beacon! I am going to follow a more spiritual path and also see the ush tucker fabric printed and made into sarongs! To pick up my crochet hook and reiginite my crocheting skills. Then to start making those throws I’ve always wanted to make for those I love and appreicate. Maybe even start a crocheting/knitting circle in this little town. To do more creative activites from my Keri Smith books/journals. I really, really want to finish my new novel ‘Night Myst’ that I started last year and abandoned. It calls to me every day and I ignore it – I say get back there, somehow, some way. I would also like to do a course in public speaking…anyone recommend anything in the Brisbane Northside/city area? I like ‘blogging’ nature and taking photos…. I quietly, non publicly, pledged to myself to sign up for some sort of writing course, or group. With a new born and 3 beautiful older children in my care, it seemed ridiculous!! But along came a fabulous course…to be completed module by module, completely in your own time, everything via email…..it seems like a miracle to me. And I feel excited!! So, belated public commitment from me. Thanks Nicole. I am inspired by you daily! I’m going to become an active member of my amateur writing group again and dredge up my lost and buried inspiration and imagination to create my contribution to the monthly allotted subject. I read you blog often and have been so inspired. I hadn’t checked in in a while but am so glad I did. I couldn’t have come across this post at a better time. I have been wanting to learn to knit so I could start making baby cloths for my toddler. I have instructional books from the library and some supplies so I now pledge that I will make time for knitting throughout the year!I may even produce so much that I could open a shop on ESTY. I am committed to this goal! I’d like to make a quilt from scratch – not use a panel like I normally do. Tidy up and organise my sewing space. Make a brooch. Improve my soap recipe. Thank you Nicole! Another late entry as I just found this post. I commit to making a lot more jewelry for my business out of metal clay! Specifically steel clay with various other clays combined with it (bronze, copper, etc.) I have already begun and am so excited. I love the idea of the artist dates. I did that for a year many years ago when I read “The Artist Way” by Julia Cameron. Great ideas on your blog. Thank you! Hi Nicole, beautifull project, my creative goal for 2013 are: open atelier – a closlieu where people from 5-99 age are able to paint togheter and find a mentore where take painting lessons. thanks soo much to joint togheter for this project. Finish all my quilts I bought fabric to make. And not buy anything new until I have!!! 1. We’re getting renovations done, so one big project will be decorating the finished rooms. 2. I’ve finally started getting back in touch with my intuition, and part of that has involved getting my crystals out..which has in turn evolved into making crystal bracelets and necklaces so will make sure I send you photos. 5 quick sketches a week. 2 hours (block session) per week painting(either at home or at an art group). Aim- to develop skill, confidence and my own style. The weather is warming and the rain is coming to soften the earth! I will be planning my veggie and herb gardens this year. Last year, I just got them into the ground, no matter what! This year will be planned and created! I have soo much in store! Make wood art, Finish a collage, Process the photos I took last year and publish them somewhere, do more hooping, learn to Rollerblade. As “me too-ed” above, garden(with better tomato trellising), sew (more of my own clothes that will FIT), write more, edit more, get a Real Job (that pays my expenses), start having a social life again.